The craftsmen at LionSTEEL in Maniago, Northern Italy, manufacture the DPx H•E•S•T™ II Woodsman fixed blade knife. This knife is the Italian-made answer to the original DPx H•E•S•T and features various enhancements to the original configuration, including Sleipner steel, a revised pry bar angle and a slightly modified hollow handle. Sleipner steel is a chromium-molybdenum-vanadium alloyed tool steel that boasts extreme wear resistance, resistance to chipping, edge retention, hardness (60 HRC) and excellent “toothiness” in fine cutting. The blade of your knife has been either stone washed Woodsman or Titanium Carbo-Nitride (TiCN) PVD coated Assault. The DPx Gear Hostile Environment Survival Tool (HEST) II is a short run, high end version of the DPX HEST Original. The HEST II is made with Sleipnersteel which delivers a harder, more granular cutting edge without the chipping or problems normally associated with very hard tool steels. The HEST II comes in a black G10 scaled, PVD coated tactical version for law enforcement and military or an “old school” naked stone washed blade and natural matching Brazilian Santos wood scales. The scales on the HEST II are thick providing more storage area and a meatier grip. We created a beautiful matching sheath in either cordura tactical or hand made leather. Because we see this a “ranch carry” or military product we changed the pry bar to accommodate gloves by softening the angle. We also eliminated one hole to make the prybar stronger. There is also a handy hex driver. 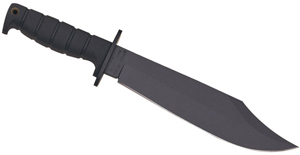 The 3.15″ (80mm) blade of the HEST II is made of Sleipner tool steel with a 60 Rockwell hardness. The HEST Original had a Rockwell hardness of 57-58. Sleipner steel is a chromium-vanadium-molybdenum alloy (7% Cr, 0.5% V, 2.5% Mo) much like D2 steel and characterized by its edge retention, ease of sharpening, and resistance to wear and chipping. The Sleipner steel also has excellent “tooth” for repetitive, fine cutting. 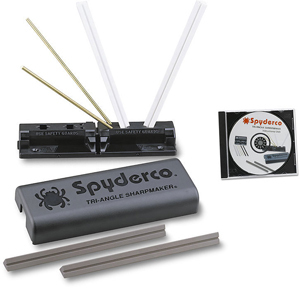 The blade is 0.187″ (4.8mm) thick and features three sizes of wire strippers and a pry notch. There’s a hex driver at the hilt and a wire breaker at the base of the blade. We removed a lashing point in the pommel because we found it unnecessary, and we changed the pry bar angle to better fit the size of the knife. 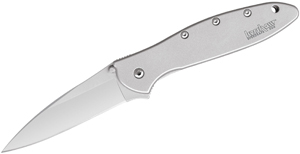 The Assault is a take-to-the-fight, low-profile duty knife. The handle is American G10 scales and features a PVD black-coated blade that reduces the visible signature to nearly zero. The Assault weighs 5.4 oz and comes with a black Cordura sheath with a sleeve for a sharpening rod or fire starter.